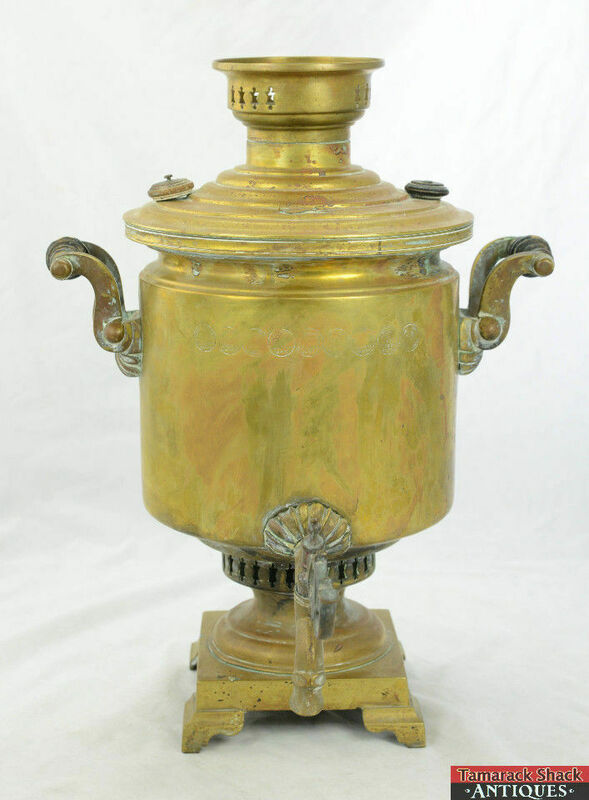 Here is this Antique Russian Samovar. 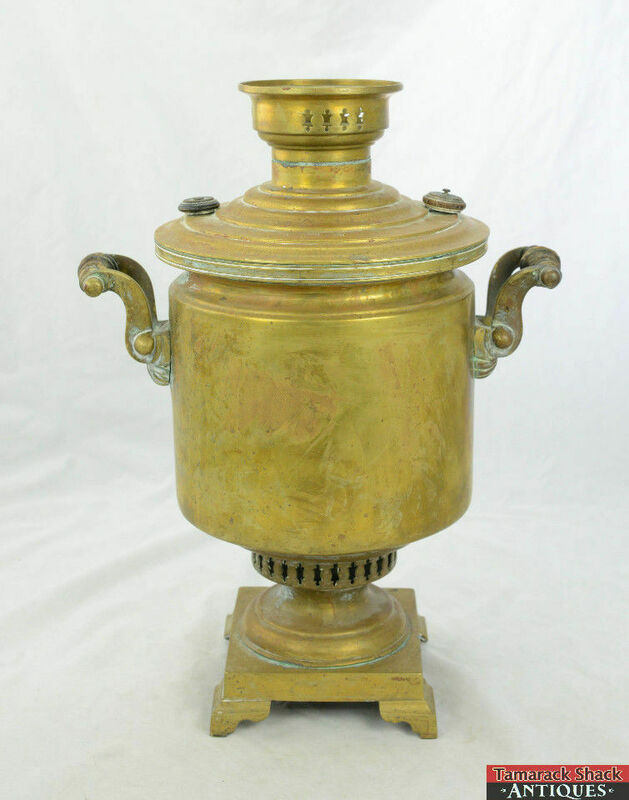 It measures about 18 3/8″ tall and handle to handle it measures about 14 inches. 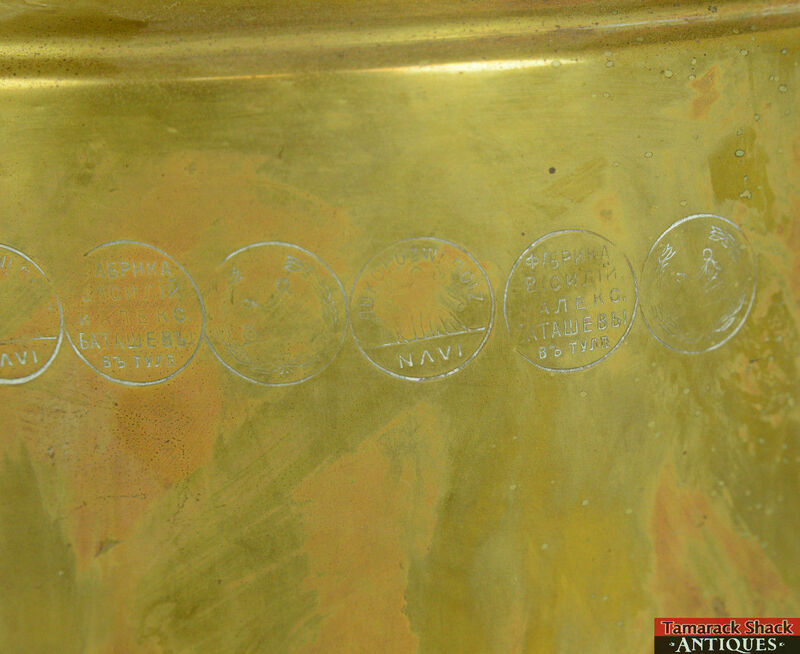 It has 3 different stamps on it that are repeated 3 times for a total of 9 stamps. 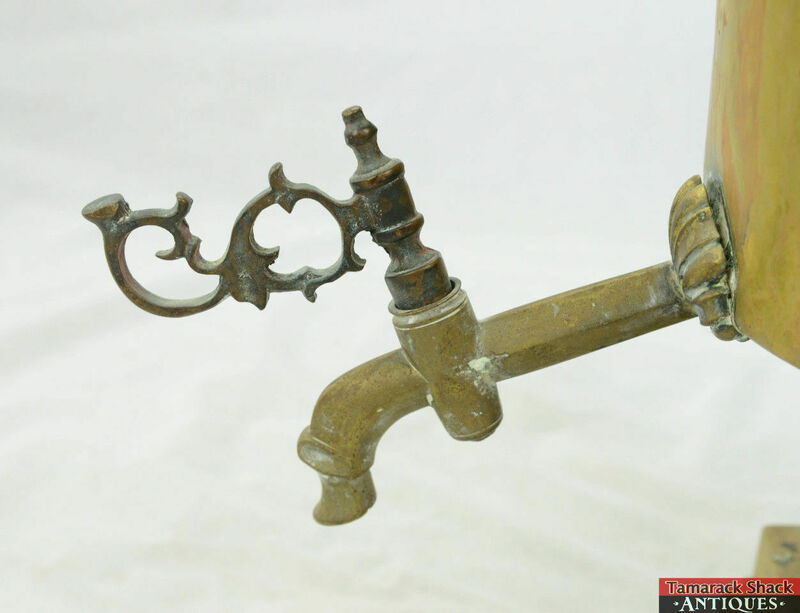 The spigot is 5″ long. 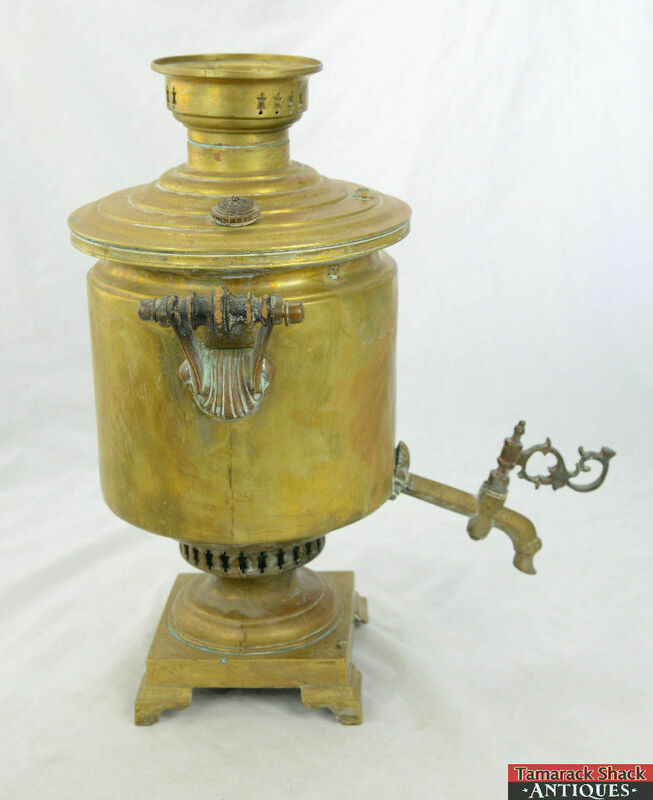 It features wooden handles and a designed spigot key. 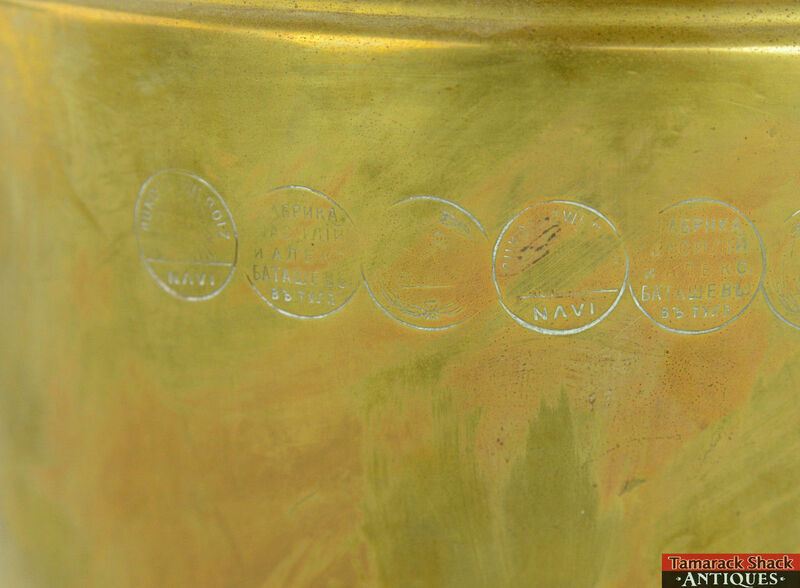 It shows usage wear and the brass has some spots that are worn, and some scratches and a few dings. 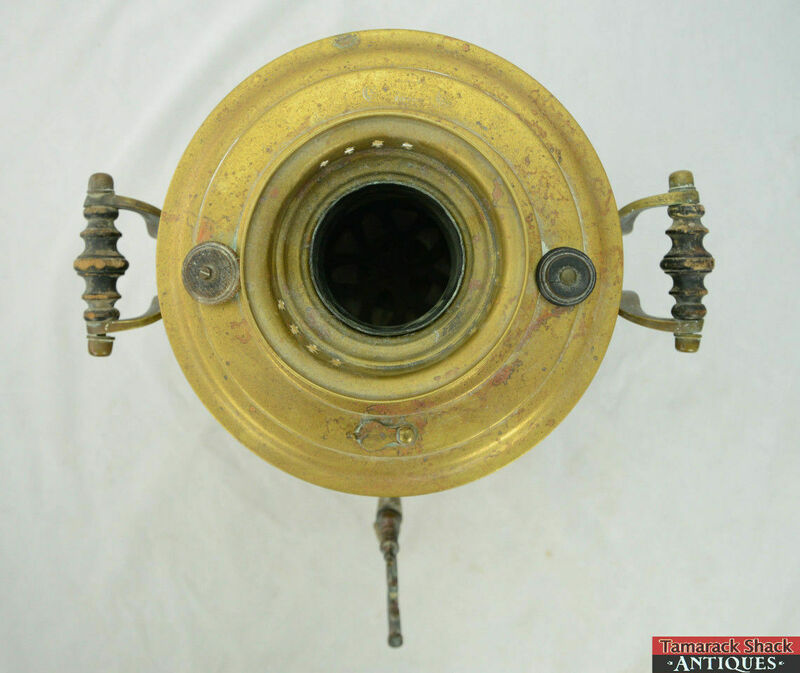 The spigot is loose and moves around. The wood decorations at the top are loose also. 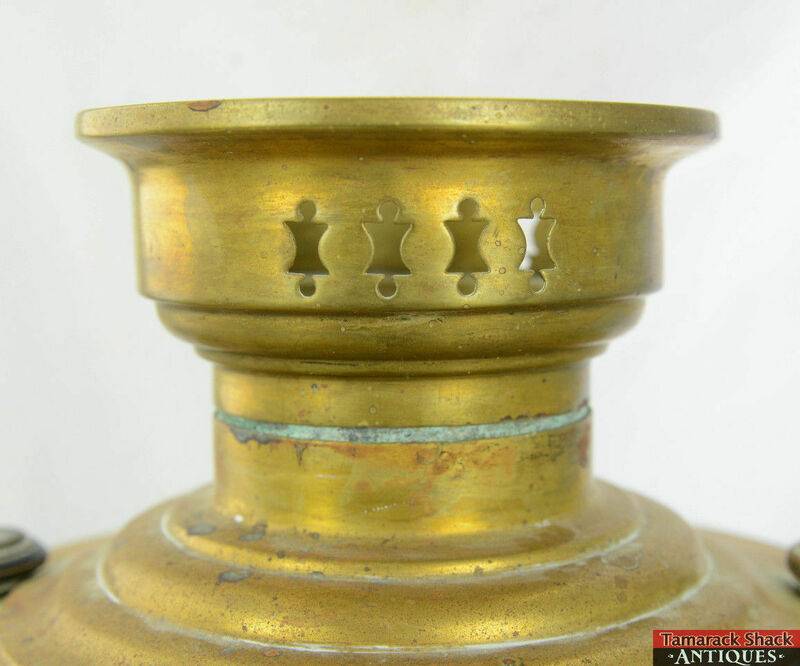 There is also some separation to the decoration that is between the spigot. I have not tested it to see if it holds water or not. Please see pictures for details.